Good news is that I already finished taking snaps for my next three upcoming dessert posts. So this time I had a different problem – which one to select for this week’s post. Finally the ice cream recipe wins. 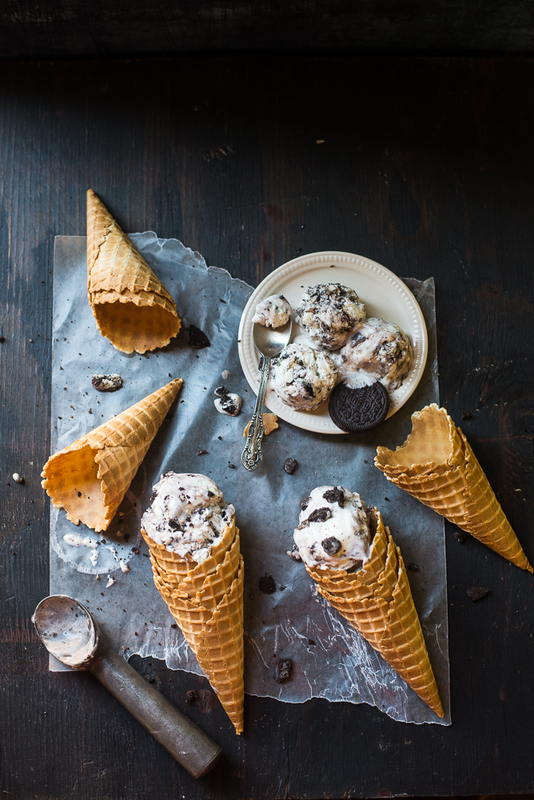 So today I will share the recipe of homemade Cookie n Cream Ice cream. It’s one of the silkiest and creamiest ice cream made with no ice cream maker and no extra stirring. 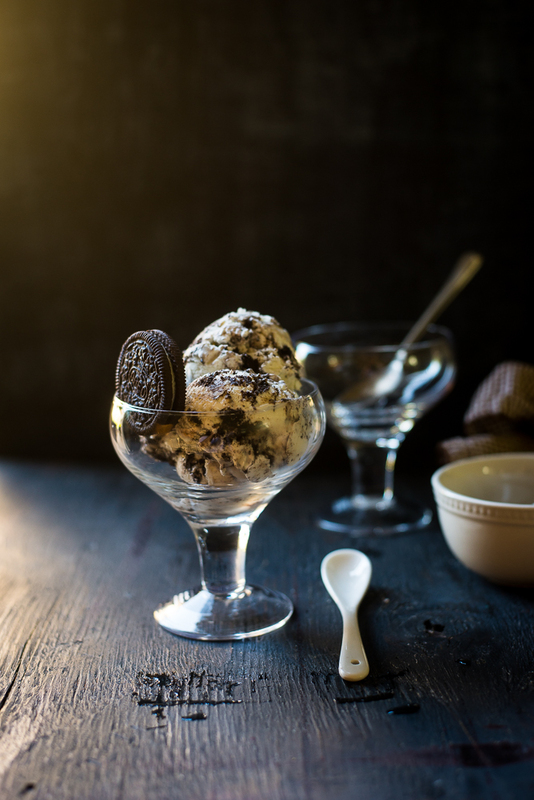 Only three ingredients are used and packed with Oreo cookie crumbs. Every year in the beginning of the summer, I wonder if I need to buy an ice cream maker to make the perfect ice cream at home. But I change my mind every time thinking it’s not worth to buy the machine for making ice-cream only once or twice in a year. 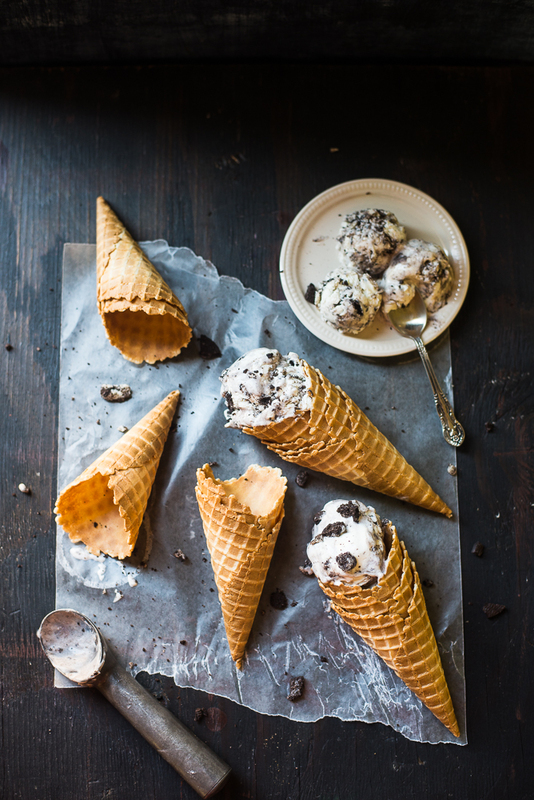 So I again started looking for some easy homemade ice-cream recipe that wouldn’t need any ice-cream maker. And I found it what I was looking for after searching a bit in the net. Before I made this delicious dessert, didn’t know that a little amount of cream and a can of sweetened condensed milk can be whipped up quickly to form delicious easy ice cream base. 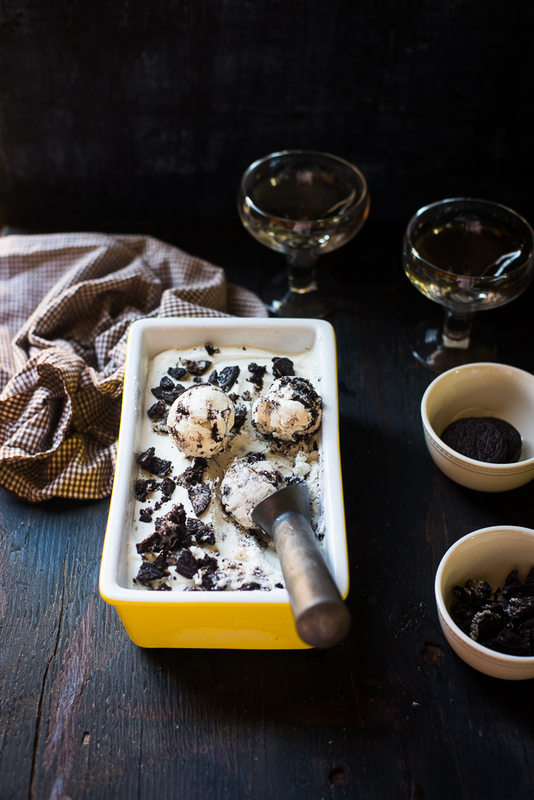 Once you are done with the base, just stir in whatever flavor you like and create your favorite ice-cream. 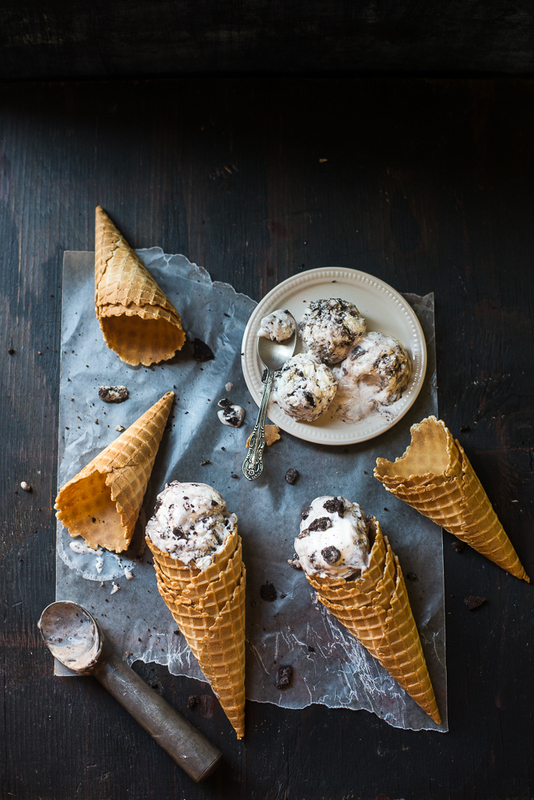 Though it’s hard to believe, yes, making homemade ice-cream is that easy and it tastes exactly like the ice cream bought from the popular store. I felt it was fully worth the effort when my 9 years old boy says mom, it’s exactly like Baskin Robbins, which is his favorite ice-cream shop. It’s not hard and it doesn’t take long, so put your hesitation aside and get yourself some whipping cream , condensed milk and favorite flavor. Try to re-create this magic and you would love it. 1. Chill a large or medium mixing bow and the beaters of electric hand blender in the refrigerator for about 15 minutes. Remove from the refrigerator and pour the whipping cream and vanilla extract into the chilled mixing bowl. Beat cream on high until stiff peaks form, about 3 to 5 minutes. 2. Take a rubber spatula, gently fold whipped cream into condensed milk. Gently fold in crushed oreos. Pour into a loaf pan. Cover the pan with plastic wrap. Freeze until firm, about 4 hours or overnight. Great post. I’d like to mark like this too taking occasion and genuine hard work to create a huge article but I put things off to A large quantity and never seem to get In progress even though I wrote this article I am in reality happy with article quality and administration. Thanks a lot for preservation huge stuff. I am extremely a good deal grateful second-hand for this place.